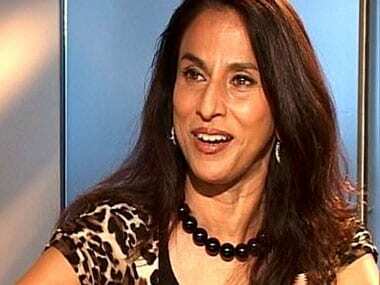 Shiv Sena on Tuesday said that writer Shobhaa De has shown her distrust towards the Maharashtra Legislature by approaching the Supreme Court. Maharashtra Legislature Principal Secretary has issued a notice to writer Shobhaa De asking her to explain her tweets about the state government's decision to make it mandatory for multiplexes to screen Marathi movies during prime time. In the Shobhaa De vs Shiv Sena fight, Shiv Sena just scored brownie points over De with their clever gift. While De was severely critical of the Sena over the past two days, she was actually forced to appreciate the gift brought for her. De tweeted out a photo of the package thanking the Sena. Amid a row over Maharashtra government's move to reserve prime time slots in multiplexes for screening of Marathi movies, AAP came out in support of Shobhaa De who has raised hackles of Shiv Sena by criticising the proposal. Several political parties have been protesting outside Shobhaa De's residence in Cuff Parade after the writer tweeted that government might replace popcorn in multiplexes with Marathi dishes. Click here to view photos of the protest. 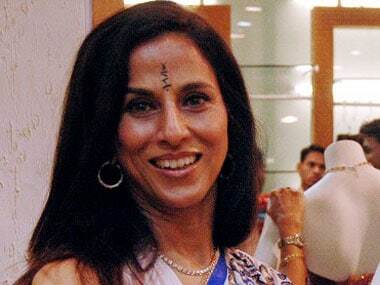 Eat well soon Shobhaa De, says Shiv Sena armed with Vada Pav and Dahi Misal! 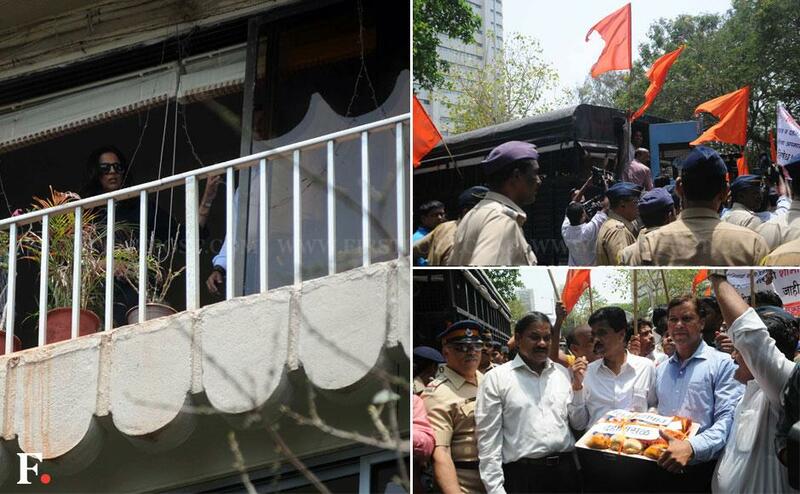 You were perhaps alarmed at the idea of Shiv Sena cadres turning up before Shobhaa De's house, they actually came with plates of Vada Pav and Dahi Misal. A few workers of Shiv Sena landed outside author Shobhaa De's home on Thursday afternoon to protest against her tweets after the Maharashtra government declared that multiplexes will have to screen one Marathi film in prime time slots in one auditorium.